Season 7 of One Month to Win It started today. My friend Jessica from Sunny Tuesday is competing. So go vote and then go check out Jess's blog while you're at it. I can't stop clicking through National Geographic Best of 2011 photos. They are so SO amazing. You have to click through and look at the painted elephant. Now I want an elephant to paint. You hear that, Anderson? 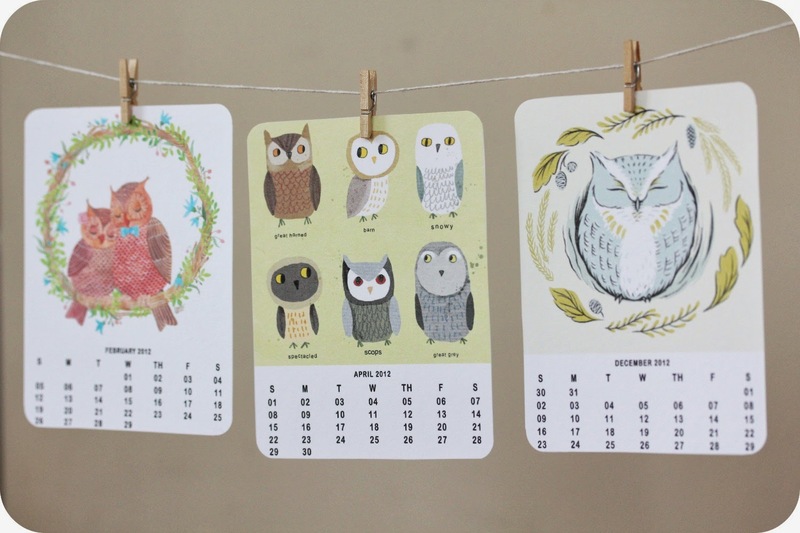 Last but most certainly not least: the 2012 Owl Lover Calendar from My Owl Barn. 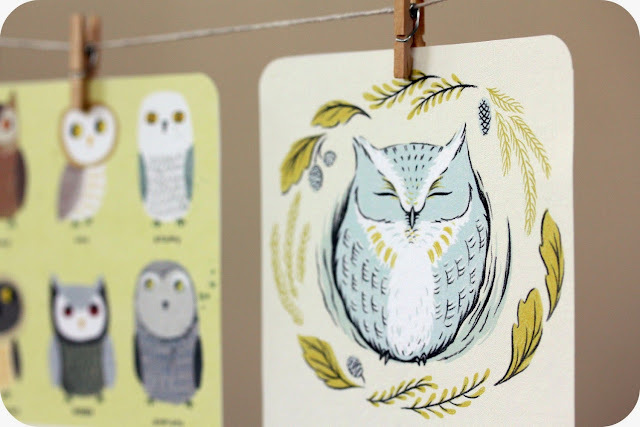 Free, customizable tiny works of art! I love this so much I have already printed my own and even have pictures to prove it. I printed it at home on 80 lb. card stock, cut it out, and used a corner rounder to give it a finished look. It is so pretty and will be gracing my desk at work. 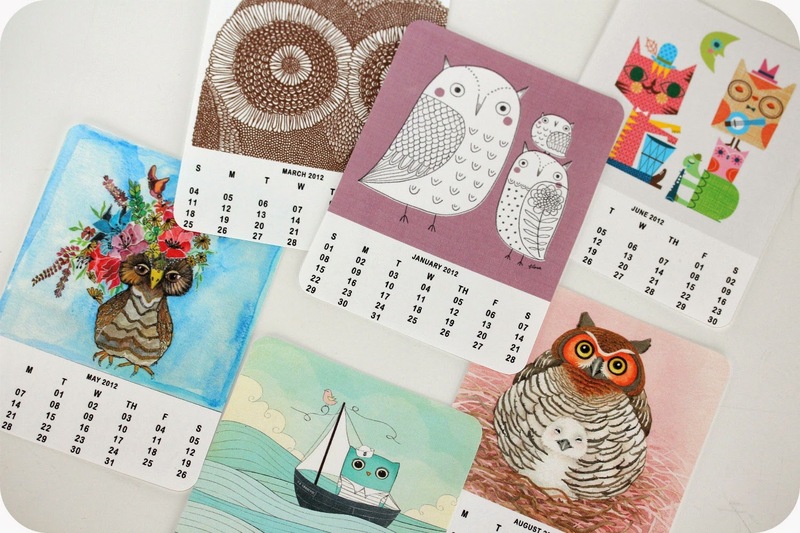 Go design your own calendar at My Owl Barn. OH, I adore just about anything owl related and these are so cute! Love the whole bunch. Thank you for sharing that sweet owl calendar. Hey! Thanks SO much for the shout-out! :) I love the owl calendar - so cute!